. 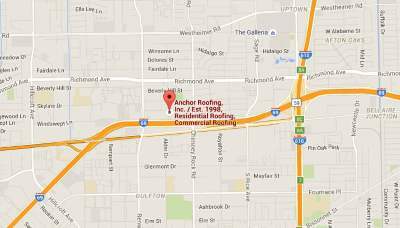 Occupancy Certificate | Roofing Companies in Houston Texas | Anchor Roofing Inc.
1. Contractors cannot have a Project Number issued in order to have a Code Compliant renovation Permit, unless special arrangements have been made in interest of public safety. 2. In the instances where public safety issues have been cited if not addressed in the given time frame the City now has the administrative authority to have power and water connections cut off as per local ordinance passed by City Council. 3. If an owner tries to sell a property that requires Occupancy Certificates on the common areas and the property does not have one they will not be able to get fair market price and will most likely be subject to a value reduction equal to the estimated monetary amount to bring the building/s up to code. Having all the relative information you will need and what all steps will be involved if this property is to conduct a permitted and Local Building Code Compliant Renovation as per The City of Houston Department of Public Works and Engineering at 1002 Washington Avenue in, Houston, TX. If it is discovered that this property does not have a valid Certificate of Occupancy for Common Areas that is a requirement to be able to apply for and have issued a Permit for Renovation as per The City of Houston Department of Public works and Engineering. First you will need to provide a site map along with making a trip to The City of Houston Department of Public Works and Engineering, Occupancy Department. The entire property will require occupancy inspection for all common areas. The only structures not requiring occupancy certificates would be unoccupied structures like a detached storage shed. The property manager, or designated representative will have to fill out a request for Occupancy Inspection acting as “agent”, they will then calculate the cost. The only good news is that by voluntarily starting the process it saves the property from a potential fine of a minimum of $500 per structure up to $2,000.00 per structure. It all boils down to two things, “Money”, and “Public Safety”, and this is a great source of revenue for the City, as the associated fees for Occupancy Inspection and then once the inspection report comes back the relative trades that will need to be performed to bring the building/s up to code. 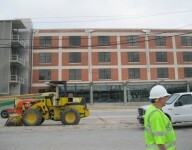 All required permits will need to be issued under the project number for the Occupancy Inspection. If you have any questions call or email Anchor Roofing anytime for assistance and information on how this process works. As far as the Occupancy Department goes there are many helpful people; however we have always received excellent service from: Steve Hawkins (head of investigations for the Occupancy Department), or Brian Luidicke,( Brian is the Assistant Chief Building Inspector for the City) and he and Steve have always been very helpful, they can be reached at The City of Houston Department of Public Works and Engineering – Occupancy Department. Also, once you initiate the process explain that you have some upcoming renovations, if applicable, and that you would like to get the required renovations scheduled to bring a building up to code and in interest of public safety factor and that the you would like the applied for occupancy inspection placed in the delay book to allow your contractors to come in a purchase code compliant renovation permits. This will allow whatever contractor you use to pull a permit and then have it finalized once all respective trades are performed. The applying contractor may have to start out in the occupancy department in order to get authorization to proceed with pulling permit. Once the renovation is completed and successfully finalized you can then call The Occupancy Department and have them take your property out of the delay book and get you scheduled for the initial occupancy inspection, this is usually about a month to 6 weeks from when you notify them. Once the process starts Senior Inspectors from four divisions, (structural, plumbing, electrical, and mechanical) will all show up at the same time and go building by building using the current relative building codes, I’ve attached the relative administrative information and codes for the proposes specified renovation options in this presentation package informative purposes should you, or any other contractors have any questions the provided information should have the information that is relevant to this property present renovation request, with the exception of proposed Option 4 which is permit exempt and can be verified by contacting Richard Spinks – Senior Structural Inspector for The City of Houston Department of Public Works and Engineering Structural Inspections Department, he can be reached at: 832-394-8840 for confirmation or to answer questions. Having and knowing the Building Codes relative for Occupancy Inspection as per the relative published local requirements including amendments in a PDF file that is 4Megabytes and 337 pages total. I can send it to anyone upon request via email. It will then take approximately 2 weeks for the report of cited items to be generated than you will know what you are really dealing with. Please don’t hesitate to call me anytime I can be of further assistance or to further discuss this matter and how the City now has the Legal Jurisdiction to enforce applicable building codes and the associated negative impact not adhering to said codes can have on your property. This blog article has a link that will bring you directly to The Department of Public Works and Engineering website where you can find the forms and publications you may be in need of without having to make a drive to their office. There is no better way to protect your investment as well as the safety of your tenants than to make sure your building/s are up to current code and that all required Occupancy Certificates are valid. At the end of the day building code always prevails and meeting it may take time and effort but it will pay off incrementally in the long run.